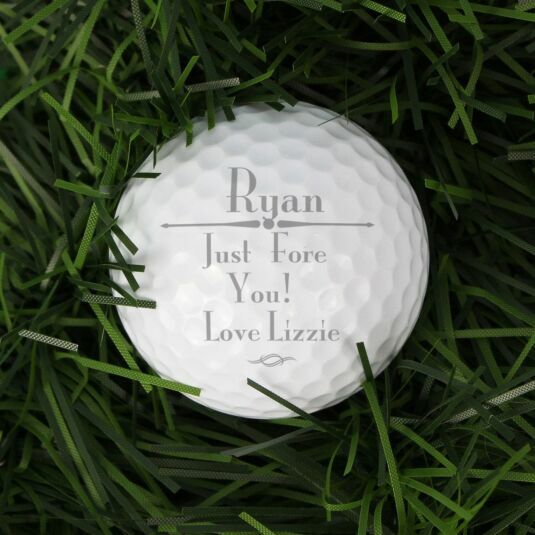 This fun keepsake golf ball makes a perfect gift for any golf enthusiast. 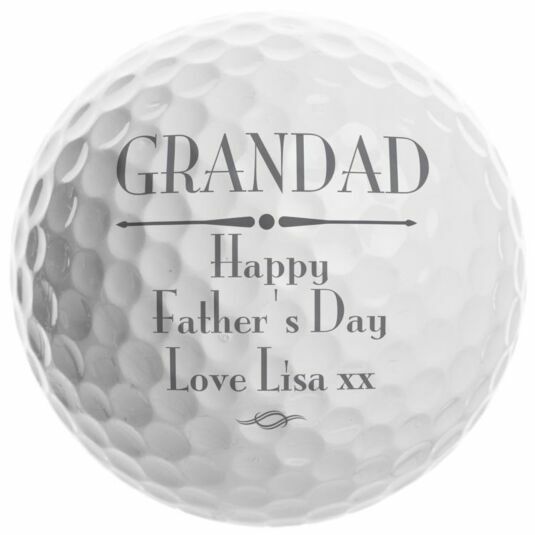 The ball may be printed with a message to commemorate any occasion and makes a great retirement or Father’s Day gift! Please note that this product is designed as a keepsake, it may be used but the durability of the print cannot be guaranteed. Add a message across 4 lines, with a maximum of 15 characters per line. Line 1 will appear in UPPER CASE and larger than the other lines of text. Due to the font type used please refrain from using only capitals in your personalised message. 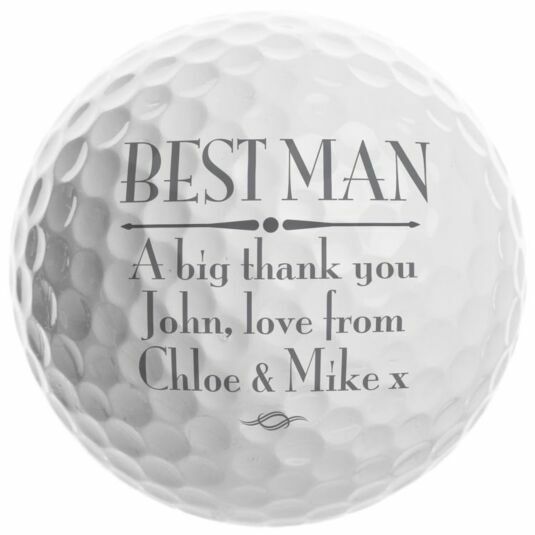 If the entire message is in capitals you will find the personalisation extremely difficult to understand and may even result in personalisation being missed off the product.